Dental Implants are a permanent replacement for the root portion of your natural tooth and is surgically placed out of sight below the gum line. 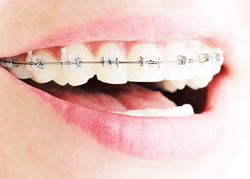 Dental Implants attach rigidly to the jawbone to support a single crown or to support a bridge of multiple teeth or to secure a denture firmly in place. Dental Implants are made from titanium, a material that is well tolerated by bone and integrates easily with bone tissue. During placement of a dental implant the goal is to achieve a close contact between the outer surface of the implant and the surrounding bone tissue so they can fuse together (Osseo integration), creating a stable support for the new teeth. 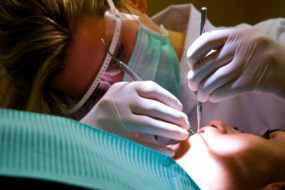 Implants replace the roots of missing teeth. Candidates for dental implants need to have healthy gums and adequate bone levels to support the implant. 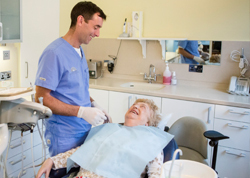 A thorough evaluation by your dental specialist Dr. Spencer Woolfe at Harcourt Dental Clinic will help determine whether you are a good candidate for dental implants. 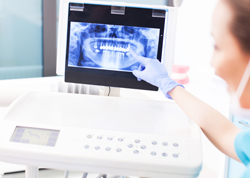 A CT scan is usually taken to determine the thickness and quality of bone before placing any implants.